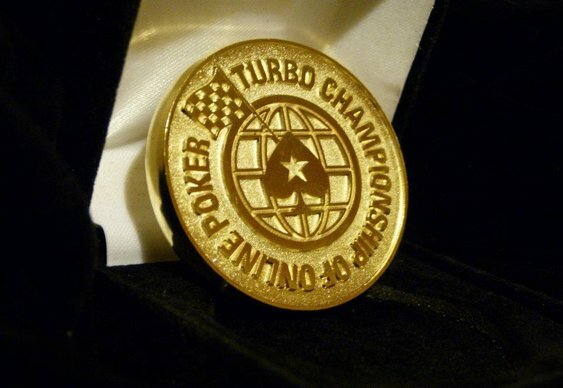 After a single day of action this year's TCOOP festival has already produced four champions. Racing through a quartet of high octane tournaments, the longest session of the day took just four hours to complete and when the chips had finished flying it was Finland's 'OnTheThinIce' who scooped the tile and $16,022 in Event #2. While the fastest victory of the day went to 'OnTheThinIce', the most lucrative went to 'K_Heaven07' from Australia. After lining up alongside 4,988 players in Event #3, a $215 NLHE Bounty Turbo, the Aussie managed to take the lion's share of a three-way deal before seeing off fellow Australian 'rickwaa' in third and 'GarethC23' in second to claim $114,135. However, while the fastest and largest wins came earlier in the day, it was Event #4 which saw some of the game's most notable players come to the fore. With a buy-in of just $55 and a guarantee of $300,000, a number of pros were keen to get in on the action and grab a slice of value. Indeed, by the time registration closed and the 8,358 entrants were gunning for glory, the likes of Mickey Petersen, Jonathan Duhamel, Jake Cody and Joe Cada were all on display. However, as the blinds increased and the pressure mounted the aforementioned pros drifted to the rail, making way for Sam 'KingKobeMVP' Stein and Kevin 'ImaLuckSac' MacPhee. The two established pros were able to assert their dominance in the final stages of the tournament and collect the largest shares of a four-way chip deal before Stein claimed the TCOOP trophy and $48,616. TCOOP will continue today with four more events and you join the action for as little as $1 through one of PokerStars' many satellites.